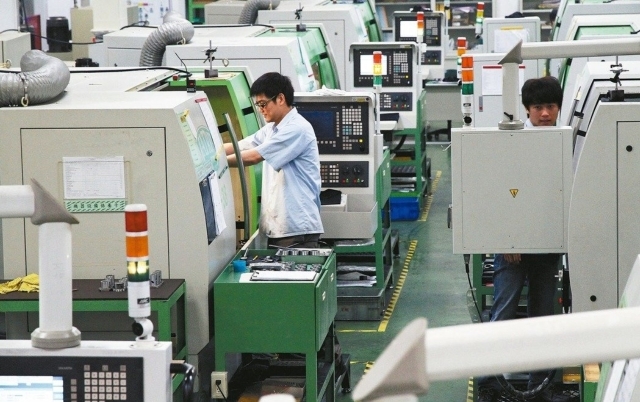 Due to steady global economic growth as well as a comparatively low base last year, Taiwan's industrial production index and manufacturing industry index both have continued growing over the past months, suggesting that most of domestic industries are likely to finish 2018 with robust performance. Taiwan's Ministry of Economic Affairs (MOEA) reported an industrial production index of 115.98 for this January, up 10.86 percent year on year (YoY) and representing the 9th consecutive month of growth. Meanwhile, Taiwan's manufacturing industry index for the same month surged for the 21st consecutive month by 10.84 percent YoY to 117.45. Also notable is that the industrial production index and manufacturing industry index reported earlier both reach all-time highs and show the biggest expansions since February, 2011 and March, 2017, respectively. Separately, indexes for major non-manufacturing industries, namely mining and quarrying, electricity and gas, water supply, and construction for this January grew by 0.38 percent, 14.92 percent, 1.96 percent and 9.34 percent, respectively. Fueled by broadening application of smart technology, market demands for wafer fabrication, integrated circuit (IC) assembly, IC carriers, and printed circuit boards (PCBs), have soared in recent years. In the scenario, the January index of Taiwan's electronic parts industry increased 10.28 percent YoY. Driven by strong demands for automation and customized machine models, the machinery industry witnessed its January index jump by 20 percent YoY. The index of the computers, electronic and optical products industry mounted 12.74 percent. Indexes of the sector of electronic parts, like phone cases and computer cooling fans, also showed significant growth in the month. Thanks mainly to price hikes of iron in the global market, the January index of the base metal industry rose 6.5 percent YoY. On increasing demands for aftermarket parts and car servicing, the index for the cars and auto parts industry witnessed a 17.25 percent YoY increase, while that for the chemical material industry edged up by 1.32 YoY since the global oil price continues to stay high.